Implementation of the scheme in the State -Conduct of talent identification of selections from school level to State Level in all schools of A.P. under Phase -1 Programme - Instruction Issued - Reg. All the Regional Joint Directors of School Education and the District Educational Officers in the State are informed that in the reference cited, the Vice Chairman and Managing Director, SAAP, Andhra Pradesh has informed that with a vision to develop sports culture that celebrates and promotes participation and excellence in sports for all citizens of Andhra Pradesh, Government vide G.0.Ms.No.8, Dated: 24.05.2017 have issued orders introducing new sports policy for the State for the period 2017-22. Towards achieving the target emphasized in the above policy, SAAP has come forwarded with to several path breaking initiatives like establishing State Sports Academies, Sports Adopted schools programme, Day Boarder Coaching Scheme and Sports Nurseries, etc under Long Term Athletic Development programme (LTAD) with c-ordination of all the stake holders including the School Education and Higher Education department of AP which have great potential for implementing several sports coaching programme. Govt. 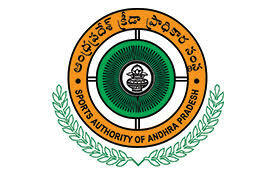 of A.P., towards "finding the mark for Andhra Pradesh in International Sports arena especially in Olympic games have accorded administrative sanction for implementation of Project Gaandiva" which is a programme and frame work from gross root level to the Olympic Level under the programme with a 5 years strategy to lay a strong foundation for athletes development through "Hub & Spoke" model. Talent will be searched from gross root level providing coaching to athletes from school level to international level with international coaches from Jamaica, South Africa and Europe. For the successful implementation of the project, the Government have involved various stakeholders such as sports management agency, sports associations from State Level to District Level, School Education Department and Physical Literacy Teachers of schools to groom and train with International coaches under strategic plan of execution prepared by SAAP. Initially, basing on the performance and sports facilities of the schools, 100 Govt., ZP & Tribal welfare schools have been identified as initial coaching centres of the State of AP. Therefore, the Vice Chairman and Managing Director, SAAP, Andhra Pradesh has requested to issue necessary I suitable orders to Head Masters, Physical Literacy Teachers and others of all Schools of AP., through District Educational Officers of the concerned districts to assist and to co-operate with SAAP technical / selection committees whenever they visit the schools under advance intimation to identify talented children of their schools in order to brought them under the elite sports coaching programme of "Project Gaandiva"
towards implementation of Project Gaandiva phase - I programme. In view of the above, all the Regional .Joirit Directors of School Education and the District Educational Officers in the State are requested to issue necessary instructions to field functionaries to complete the bests before 5,h July for Zone-I(ie Srikakularn, Vijayanagarm and Visakhapatnam) and Remaining Districts have to complete before 15th July, to co-operate with SAAP technical /selection committees whenever they visit the schools under advance intimation to identify talented children of their schools in order to brought them under the elite sports coaching programme of Project Gaandiva towards implementation of Project Gaandiva phase - I programme. This has got approval of the Commissioner of School Education, A.P. Ibrahimpatnam.